The event administrator has closed online registration for this event. Please visit us on Saturday, May 5, 2018 from 9am-4pm for packet pickup or to register for the race at DICKS Sporting Goods located at Glendale Galleria, 200 W Broadway, Glendale, CA 91210. You can also arrive early on Sunday morning, May 6th at 6am for onsite registration.Thank you and see you on the course! Conquer the Mountains in Your Own Back Yard! The 8th Annual Verdugo Mountains 10K is produced by the City of Glendale's Community Services & Parks Department and benefits the Glendale Parks & Open Space Foundation. 6.2 miles. 1,735 feet of elevation gain. One Sunday morning you'll never forget! In a word: Challenging! The course begins in beautiful Brand Park, climbs steadily to one of the highest points in the Verdugo Mountains, and then heads back downhill for a fast descent to the finish. Breathtaking views of the L.A. Basin, the San Fernando Valley, and the Pacific Ocean await you at every turn. From the race’s highest point, at 2,670 feet above sea level, the panoramic view of the San Gabriel Mountains is truly spectacular. Awards will be given to the top three male and female finishers in each age group, and the first male and female Glendale finishers. Prize packages will be given to the top 3 OVERALL male and female finishers, and to the first male and female Glendale finishers. Raffle Prizes will be given away during a random drawing at the awards ceremony (Winners must be present). Everyone has a chance of winning! FREE tech t-shirt at packet pickup. We are offering Women's sizes XS, Small and Medium and Unisex sizes XS-XXL. We will do our best to assure that you receive the requested size. Pre Race Packet Pick up will take place on Saturday, May 5, 2018 from 9am- 4pm at DICKS Sporting Goods Store located at the Glendale Galleria, 200 W Broadway, Glendale, CA 91210. Race Day Packet Pick up will also be available for pick up on the morning of the race beginning at 6 a.m. on May 6, 2018. $30 from opening of registration until February 28, 2018. I acknowledge that I have voluntarily applied to participate in the 2018 Verdugo Mountains 10K Trail Run & Hike? 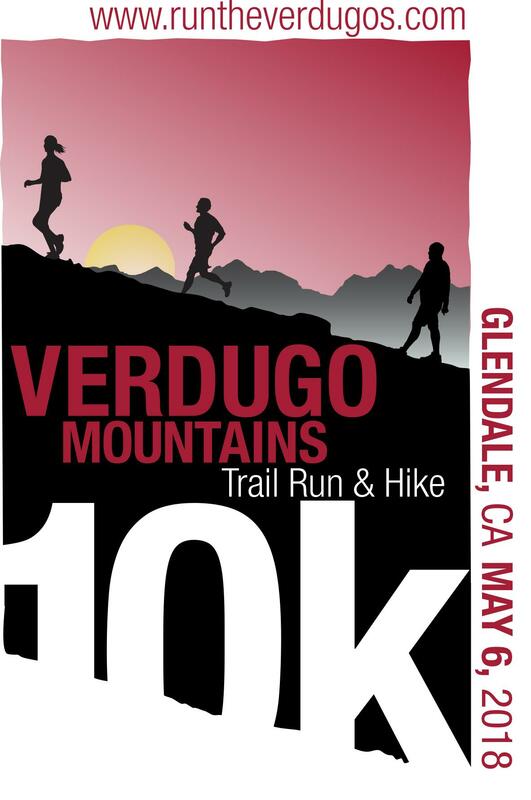 a race event in the Verdugo Mountains, on May 6, 2018, from 6:00 a.m. to 12:00 noon ("the Race"), co-sponsored by the City of Glendale's Community Services & Parks Department ("the City") and the Glendale Parks & Open Space Foundation ("the Foundation"). I understand and agree that I will be running and hiking in the Race, which will take place outdoors in the Verdugo Mountains on hiking trails, fire roads, or other "off-trail" areas which often contain steep and uneven natural surfaces. Running and hiking in those areas have risks, including (but not limited to) the risk of: falling; heat exhaustion; cold or hot weather conditions; insect or animal bites; poisonous plants; cuts and scrapes; falling rocks or trees; and collision with other runners, hikers, spectators, motor vehicles, or fixed objects. The City will offer a shuttle or van, operated by a private firm, which I may ride to and from the finish line. I understand and acknowledge that RaceWire LLC ("RaceWire") will time me in the Race. I agree to bring drinking water and food, and to wear my own protective body clothing and closed-toe shoes for trail running and hiking. I represent that: (1) I am in good physical condition and emotional health; (2) I am not suffering from any condition, disease, or disability that can hinder or endanger my participation in the Race; (3) a licensed medical doctor has examined me, and I am qualified to participate in trail running and hiking; (4) I have sufficiently trained for this Race; and (5) I am capable of participating in the Race without accommodation. AND HAVE A RISK OF INJURY OR DEATH. I AM FULLY AWARE THAT I AM VOLUNTARILY PARTICIPATING IN THIS TRAIL RUNNING AND HIKING ACTIVITY WITH MY KNOWLEDGE OF THE INHERENT RISKS AND HAZARDS INVOLVED. I HEREBY AGREE TO ACCEPT ANY AND ALL RISKS OF INJURY, DEATH, OR PROPERTY DAMAGE. AS LAWFUL CONSIDERATION for the City's and the Foundation's permitting me to participate in this Race, I HEREBY AGREE that I, my heirs, distributees, guardians, legal representatives, and assigns WILL NOT MAKE A CLAIM AGAINST, SUE, OR PROSECUTE the City, the Foundation, RaceWire, or their officers, directors, contractors, agents, employees, volunteers, sponsors, or affiliates for injury, death, or damage arising out of the negligence or other acts, howsoever caused, by the City, the Foundation, RaceWire, or their officers, directors, contractors, agents, employees, volunteers, sponsors, or affiliates, as a result of my participation in this Race. In addition, I HEREBY RELEASE, DISCHARGE, AND AGREE TO "INDEMNIFY" (TO COMPENSATE AND TO DEFEND) the City, the Foundation, RaceWire, and their officers, directors, contractors, agents, employees, volunteers, sponsors, or affiliates from and against ALL ACTIONS, CLAIMS, OR DEMANDS that I, my heirs, distributees, guardians, legal representatives, or assigns now have, or may later have from today, for injury, death, or damage arising out of my participation in this Race. I HAVE CAREFULLY READ THIS AGREEMENT AND FULLY UNDERSTAND ITS CONTENTS. I AM AWARE THAT THIS IS A RELEASE OF LIABILITY AND A CONTRACT TO INDEMNIFY BETWEEN MYSELF, THE CITY, THE FOUNDATION, AND RACE WIRE; AND I SIGN IT OF MY OWN FREE WILL.